Our Telemarketing is not cold calling! We research the market and select the person to call in the target business. We become far more successful in selling when we talk to the decision maker. 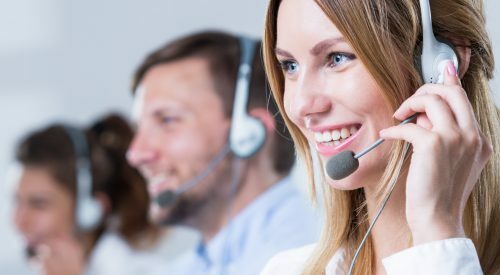 Our Telemarketing starts with a warm call, we then follow “The Hayward Miller Way”, which is our procedure of communication through multiple streams. We are your sales team and badge ourselves with your values, culture and branding. We train alongside each new client to ensure everyone is fully informed when talking to potential customers. We use proven research and statistics in gauging our approach to each individual project. We always follow-up, follow-up and follow up! What does Telemarketing involve at Hayward Miller? Identifying and approaching potential customers, turning cold leads into warm through continuous nurturing and regular follow ups. Raising awareness of your company via strategic telephone and email contact. We create optimised telephone and email scripts designed for success in your target sectors; you fully approve scripts before we utilise them. B.A.N.T stands for Budget, Authority, Need and Timeframe. This is a method of assessing quality of prospects and tracking them through the sales qualification process. Arranging appointments for you to meet potential customers. Providing general office administration, updating systems and databases and also collecting invaluable feedback from customers. Providing existing customers an opportunity to purchase higher end products, upgrades or additional items. Selling your goods or services over the telephone and raising awareness of your product. Take a look at our Testimonials. …we are your Telemarketing team!